High voltage transmission lines (those towering metal power lines you often see usually along highways and across rural landscapes. Connect to local, lower voltage distribution lines. 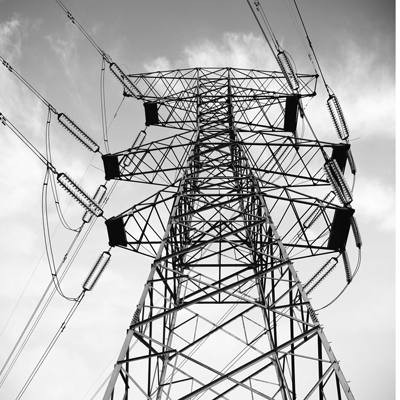 Some people contend that burying power lines can mitigate EMF dangers. Other experts note that while burying power lines will shield the electric component of the electromagnetic field (EMF), the magnetic component can still pass through the earth—and walls and human or animal bodies. Researchers found that children living within 650 feet of power lines had a 70% greater risk for leukemia than children living 2,000 feet away or more. In a study of 850 lymphoma, leukemia and related conditions, researchers from the University of Tasmania and Britain's Bristol University found that living for a prolonged period near high-voltage power lines increased the risk for these conditions later in life. People who lived within 328 yards of a power line up to age 5 were five times more likely to develop cancer as an adult. People who lived within 328 yards of a power line at any point up to age 15 years were three times more likely to develop cancer as an adult. Dr. David Carpenter, Dean of the School of Public Health (SUNY), believes that up to 30% of all childhood cancers come from exposure to high voltage power lines. Even the Environmental Protection Agency (EPA) cautions citizens that "There is reason for concern" and advises “prudent avoidance” of high voltage power lines.